The number of residential property transactions in Penang is forecast to increase to 2,527 transactions in 1Q2017 compared with 2,297 transactions in the previous quarter, while the total value of transactions is expected to rise to RM1.13 billion in 1Q2017 compared with RM1.03 billion in 4Q2016, said Raine & Horne International Zaki + Partners Sdn Bhd senior partner Michael Geh. “The main stall for the slowdown in the property market in 2016 was due to some developers stopping their launches to survey the market. Also, there was a long delay in the release of advertising permits and developers licences. All in all, 4Q2016 saw a new bottom from 1Q2012 when it had only 2,297 number of transactions worth RM1.03 billion,” said Geh in his presentation at The Edge Investment Forum on Real Estate 2017 today. Geh also noted that the slowdown was also due to some homebuyers not being able get loans. 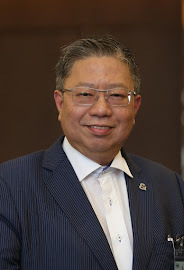 Geh also pointed out that despite the notion that Penang properties are expensive and often in the range of millions of ringgit, there are many new launches in Penang that are offering properties below RM600,000. “Penang will always remain a top destination for investment and for people to live because of several factors, including it being the Silicon Valley of Malaysia, a renowned tourism destination and a world class education hub. Geh also mentioned some property hot spots in Penang, including Bertam, Batu Kawan, George Town and Batu Maung.